Seriously? 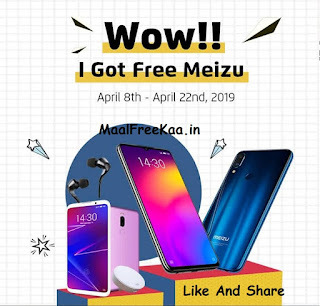 Really send out Free Meizu M8C, Free Meizu Note 8, Free Meizu Note 9, Free Meizu 16 Yes friend! Meizu Official Store makes your dream come true today Meizu Official Store will make your dream come true today! Get a chance to win a Meizu 16, Meizu Note 8, Meizu Note 9, and many more. Over 2,000 people have joined, don't miss your chance Simply leave a comment, you might get a free Meizu 16 back home. 2) Go to our official store & leave a comment. Wish the best luck for all your guys! As this activity only valid on Aliexpress mobile APP.